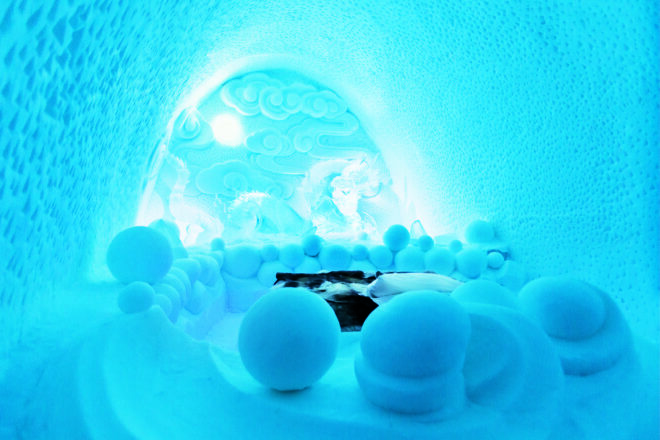 The Dragon Residence at Sweden's Icehotel. 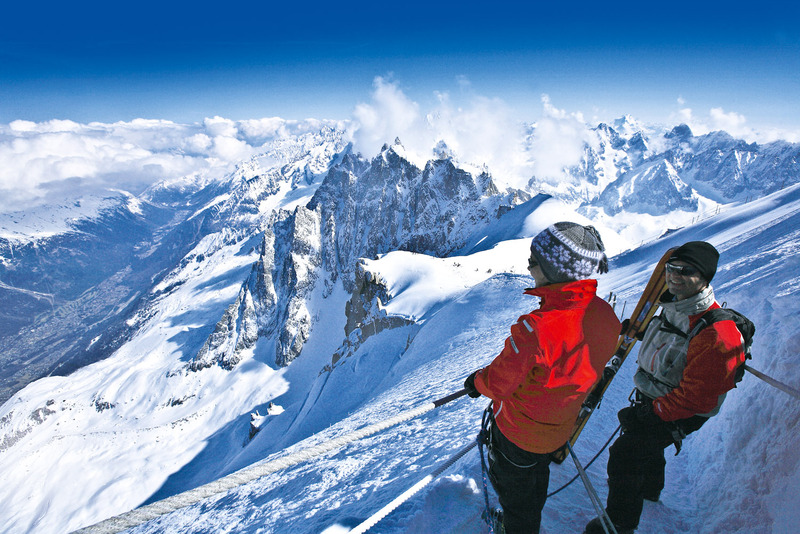 World-class skiing awaits on Mount Blanc, France. Germany's famed Christmas market, Dresden Striezelmarkt. 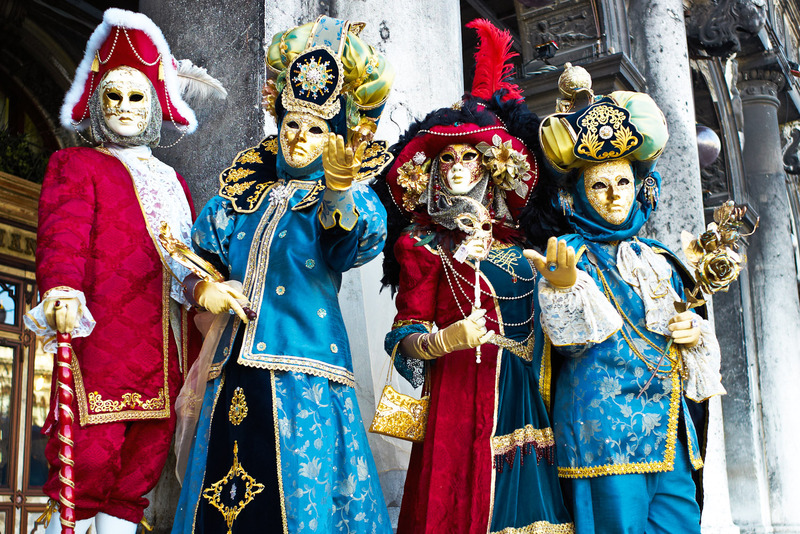 Venice comes alive every February with The Carnival of Venice. 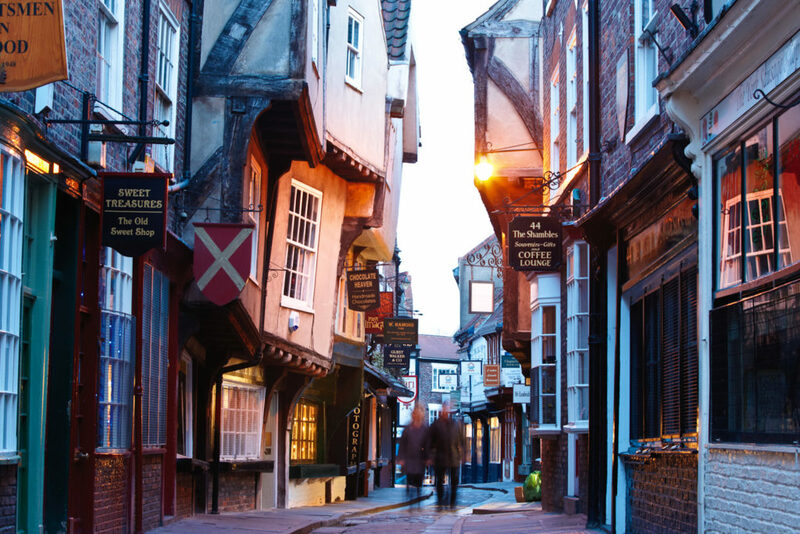 The UK is littered with idyllic pubs to cosy up and enjoy a pint or two. If you’re heading to Europe during the Northern Hemisphere winter, you’re unlikely to be sprawling out in grand city parks or hopping between Mediterranean beaches. But your winter trip doesn’t have to be miserable – it’s just a case of tackling things a different way. Indeed, there are many advantages of travelling during winter (less tourists, some cheaper deals and fairytale-like winter scenery). Click below to find out how to do it. If skiing is your thing, then France is the ultimate destination for you. With some of the most picturesque chalets in the world, it’s impossible to overlook France as a travel destination in winter. The lack of crowds alone are a reason to visit Italy in winter. The snow in the Alps is another – especially if you like the beauty of ski-topped mountains. Also, the comfort food; pasta and cheesy pizza make it all the more exciting. 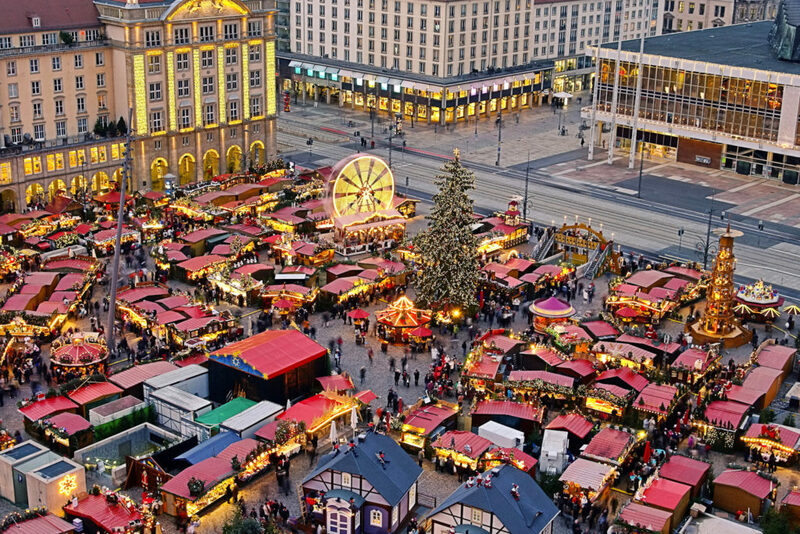 It’s the Christmas markets that are the major draw card for Germany, where you can buy German-made trinkets and gifts that you can’t find anywhere else. Sip on mulled wine as you walk through the stalls, rugged up in mittens and your warmest coat. It’s Christmas without the commercial factor; traditional – just as it’s meant to be. The Christmas windows at Selfridges, Hamley’s toy shop and Liberty are reason alone to get to the UK during winter. It’s all about the shopping and the whimsical Christmas vibe. You also must visit Harrod’s – the windows and the shopping experience are something else. It’s intoxicating. The Lapland town of Rovaniemi, through huge chutzpah and relentless marketing, has got itself the label as the home of Santa. Younger kids will love visiting the man with the beard – older kids and adults have ice fishing, snowmobiling, snow golf, and husky and reindeer safaris to keep them entertained. Germany’s famed Christmas market, Dresden Striezelmarkt. Despite a year-round line in entertainingly weird Icelandic activities, some are best tackled in winter. The thermal waters of the Blue Lagoon are more welcome and less crowded with cooler temperatures, while Arctic Adventures runs spectacular hiking and ice-climbing trips on the Sólheimajökull glacier. Iceland is also a good bet for seeing the Northern Lights, but the further north you go, the better the chance of the light show. Hence northern Norway is the best bet – cities such as Tromso and Honningsvag are well inside the Arctic Circle, at latitudes around the 70-degree mark. Budapest is arguably Europe’s best value city – drinks, food and hotels are delightfully cheap – and it is beautifully set-up for winter. The boating lake in the City Park becomes one of the continent’s most impressive open-air ice rinks, snow makes the Buda Castle complex even prettier and the numerous thermal baths compete with goulash as the best warmer-upper. The Swiss cater best for non-skiers. In Grindelwald, the Big Pintenfritz sledging run stretches 15 kilometres and drops 1600 metres. You can slide down slopes at Engelberg-Titlis in inner tubes, while daredevils can take on St Moritz’s notorious Cresta Run bobsleigh track. Rebuilt from scratch by different artists each year, the Icehotel near Kiruna in Sweden’s Arctic north is a super-igloo. Gimmicky accommodation doesn’t get much more memorable. Reindeer skins keep you warm, while activities include ice-driving in Mini Coopers, Sami cultural encounters and moose-spotting on horseback. The hometown of Hans Christian Andersen, Copenhagen, does a fairytale Christmas better than most. There is the ubiquitous Christmas markets, of course, but the schmaltzy star is the Tivoli Gardens – which has classic rides and drowns in half a million fairy lights. The criminally underrated historic cities of southern Spain – notably Cordoba, Seville and Granada – never get properly cold, and they’re relatively uncrowded in winter. Plus, if you want a snow fix, the Sierra Nevada mountain range is close. This Spanish island off the West African coast is a popular winter sun destination for Europeans, but it’s also home to Europe’s best, most Rio-esque carnival. Dodge the mass-market southern resorts, and hit the party in capital Santa Cruz from late February to early March. If the terrifyingly pricey French, Italian and Swiss ski resorts are well beyond the budget, head east. Slovakia, Poland and Bosnia have affordable resorts, but Bansko in Bulgaria arguably offers the best combo of cost, snow conditions and après-ski fun. Trains: The English version of Deutsche Bahn’s site does a superb job of collating most European train timetables. Car hire: Most continental car hire agreements allow you to cross borders, but not leave the car in another country. A superb starting point for cheap deals is Car Rentals. Road rules (speed limits, having to carry breathalysers or snow tyres etc) annoyingly vary between countries. Accommodation: Local booking engines – such as Late Rooms or Venere – often have better deals and more choice than more globalised competitors. Hostelworld is excellent for B&Bs and guesthouses. Also look for sales from big hotel chains such as Accor and IHG during the (quieter) winter months. Flights: The Christmas and New Year period is the most expensive time of year for flights from Australia to Europe, but prices drop substantially in mid-January. Occasionally spectacular deals can be found if you’re prepared to fly on Christmas Day itself.